There exist individual, institutional and national barriers to change, none more so than when introducing new therapies into medical practice especially those that involve organizational change. 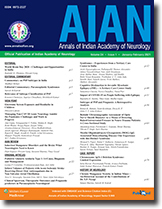 This paper, presented as an address to the joint meeting of the Association of British Neurologists and the Indian Academy of Neurology in October 2007, explores these barriers in the context of the instruction of thrombolytic therapy for patients with acute ischaemic stroke and suggests how they might be overcome using evidence from relevant clinical trials and observational studies. Several aspects of physiology, notably blood pressure, body temperature, blood glucose, and blood oxygen saturation, may be altered after an ischemic stroke and intracerebral hemorrhage. Generally, blood pressure and temperature rise acutely after a stroke, before returning to normal. Blood glucose and oxygen levels may be abnormal in individuals, but they do not follow a set pattern. Several aspects of these physiological alterations remain unclear, including their principal determinants - whether they genuinely affect prognosis (as opposed to merely representing underlying processes such as inflammation or a stress response), whether these effects are adaptive or maladaptive, whether the effects are specific to certain subgroups (e.g. lacunar stroke) and whether modifying physiology also modifies its prognostic effect. Hypertension and hyperglycemia may be helpful or harmful, depending on the perfusion status after an ischemic stroke; the therapeutic response to their lowering may be correspondingly variable. Hypothermia may provide benefits, in addition to preventing harm through protection from hyperthermia. Hypoxia is harmful, but normobaric hyperoxia is unhelpful or even harmful in normoxic patients. Hyperbaric hyperoxia, however, may be beneficial, though this remains unproven. The above-mentioned uncertainties necessitate generally conservative measures for physiology management, although there are notably specific recommendations for thrombolysis-eligible patients. Stroke unit care is associated with better outcome, possibly through better management of poststroke physiology. Stroke units can also facilitate research to clarify the relationship between physiology and prognosis, and to subsequently clarify management guidelines. Given the constraints of resources, thrombolysis for acute ischemic stroke (AIS) is under evaluation in developing countries like India, especially in areas such as western Utter Pradesh, where it is overly crowded and there is poor affordability. Aim: This study was done to evaluate recombinant tissue plasminogen activator r-tpa in acute ischemic stroke in hyper acute phase, in selected patients of western Utter Pradesh, in terms of feasibility and effectivity. Design: Open, non randomized study. Materials and Methods: Thirty two patients were classified using Trial of ORG 10172 in Acute Stroke treatment (TOAST) criteria (large artery atherosclerotic = 8; cardio embolic = 6; small vessel occlusion = 14; other determined etiology = 2; undetermined etiology = 2). The mean time to reach the hospital was 2 h (1.15-3.0), the mean door to CT scan 20 min (10-40) and door to r-tpa injection was 30 min (24-68). The National Institute of Health Stroke Scale (NIHSS) scores ranged from 11-22 (mean 15.5 +2.7). The dose of r-tpa administered was 0.9 mg/kg. Results: Twenty one patients (65.6%) showed significant improvement on the NIHSS score, at 48 h (4 points). (Mean change = 10; range = 4-17). At one month, 25 (78%) recorded improvement on the Barthel index (mean change = 45%). 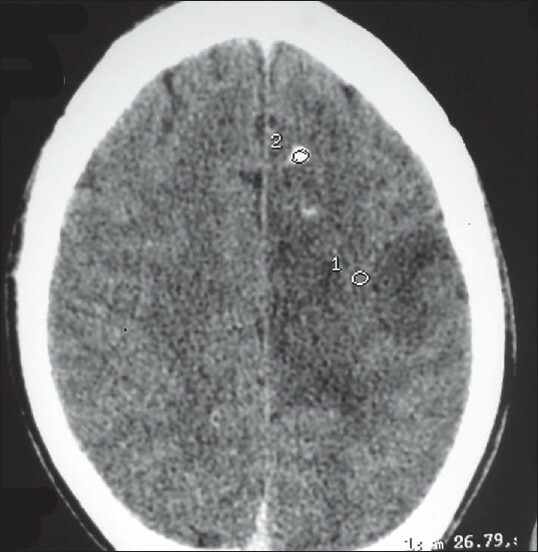 One developed frontal lobe hemorrhage and another developed recurrent stroke; one died of aspiration; and four showed no improvement. Modified Rankin score (m RS) was administered at the end of three months to 28 patients (90%); however, the rest could not be directly observed. The average modified Rankin Score was 1.2 (0-2). Conclusions: Hyperacute thrombolysis was found feasible and effective in selected patients with AIS from western Utter Pradesh and who had poor affordability. Aim: To assess the quality of life (QoL) and prevalence of psychological problems (PP) in patients with neurological illness, and their correlation with functional abilities. Materials and Methods: Prospective cross-sectional study conducted in the neurological rehabilitation unit of tertiary research hospital in 30 consecutive hospitalized patients (21 men), age 16-55 years (34.63±11.87). Outcome Measure: WHOQoL-BREF was used to assess QoL. The prevalence of PP was recorded using Hospital Anxiety Depression Scale (HADS) and General Health Questionnaire (GHQ-12). QoL and HADS scores were correlated with functional abilities using mean Barthel Index (BI) Score. Results: The duration of illness was three to 30 months (10.63±7.83) and their primary diagnoses were stroke 12, traumatic spinal cord injury seven and non-traumatic spinal cord lesion 11. Twenty-two patients qualified for GHQ-12 caseness, with 15 patients having distress (score ≥15) and seven having severe problem and psychological distress (score≥20). Twenty five patients had abnormal anxiety and 17 had abnormal depression on HADS (abnormal = 8-21), with moderate to severe anxiety and depression (scores≥11) in nine and three patients respectively. The mean WHOQoL-BREF transformed scores (on WHOQoL 0-100 scale) were (38.83±8.02), (50.76±9.79), (48.53±18.46) and (49.13±10.63) in physical, psychological, social, and environmental domains respectively. The social domain of QoL had significant correlation ( P <.05) with functional abilities. Conclusion: Patients with neurological disorders requiring inpatient rehabilitation have impaired QoL that affects all domains of life. There is high prevalence of psychological problems, including anxiety and depression. The social domain of QoL adversely affected functional abilities, but the correlation between PP and functional abilities was insignificant. Acquired myasthenia Gravis (MG), a disorder of impaired neuromuscular transmission is recognized as an autoimmune disorder, with a majority of the patients having antibodies against acetylcholine receptor (AChR antibodies) in the serum. Aim and Objectives: To correlate the AChR antibody status with the clinical characteristics of patients with myasthenia gravis. Study Design: Retrospective and prospective study. Materials and Methods: This study was carried out in patients with definite MG, attending the Neurology services of the National Institute of Mental Health and Neurosciences, Bangalore, India, during the period 1999-2003. 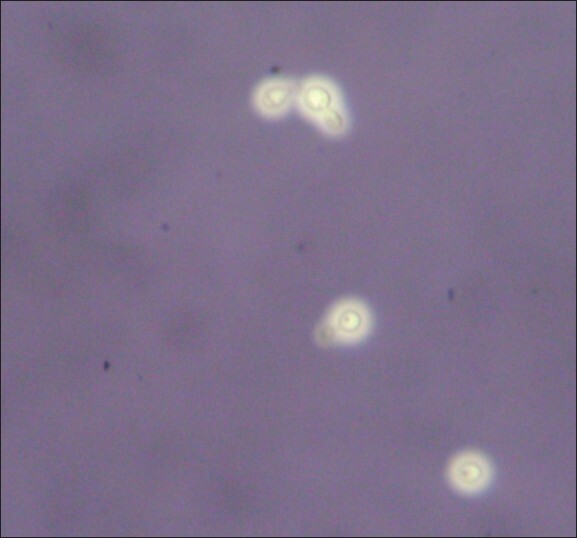 The AChR antibody status was determined using the direct and indirect enzyme linked immunosorbent assay (ELISA) technique. Results: There were 165 patients in this study (M : F :: 1.5 : 1). The overall seropositivity rate was 59.4%. Seropositive patients had higher age of onset and presentation, and more frequent occurrence of crises, both at presentation and at any time during the course. Other parameters, viz. gender of the patient, Osserman staging, thymic enlargement on CT and remission during follow-up did not differ between the two groups. Conclusion: This communication reports the result of AChR antibody assay in a large cohort of patients, using a simple diagnostic tool, namely direct and indirect ELISA technique. In addition, the characteristics of a large cohort of patients with seronegative myasthenia gravis are described. Malignant syndrome is a rare complication occurring during the course of drug treatment for Parkinson's disease. It resembles neuroleptic malignant syndrome and is characterized by fever, marked rigidity, altered consciousness, leucocytosis and elevated creatine kinase. Malignant syndrome is a potentially fatal condition and awareness of this condition is imperative for prevention and treatment. The commonest precipitating factor is dopaminergic drug withdrawal or dose reduction. We report malignant syndrome (precipitated by hyponatremia) in a case of Parkinson's disease, in the absence of dopaminergic drug withdrawal. 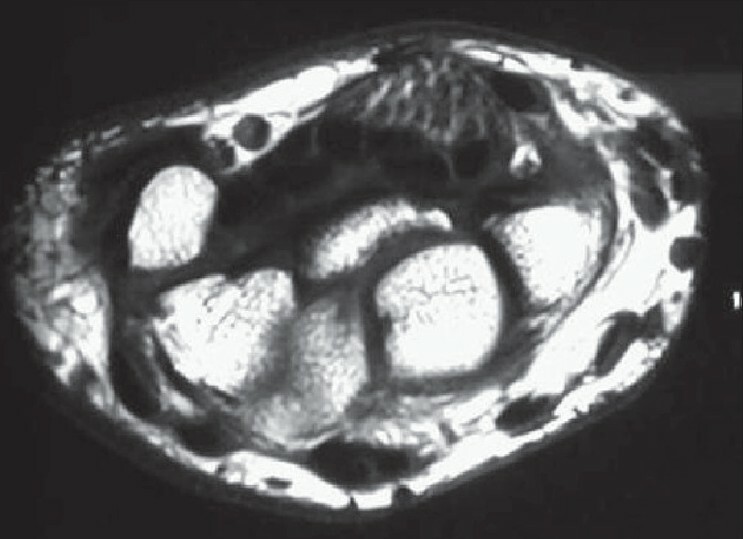 A 60-year-old man presented with fever, severe rigidity and altered sensorium following repeated vomiting. 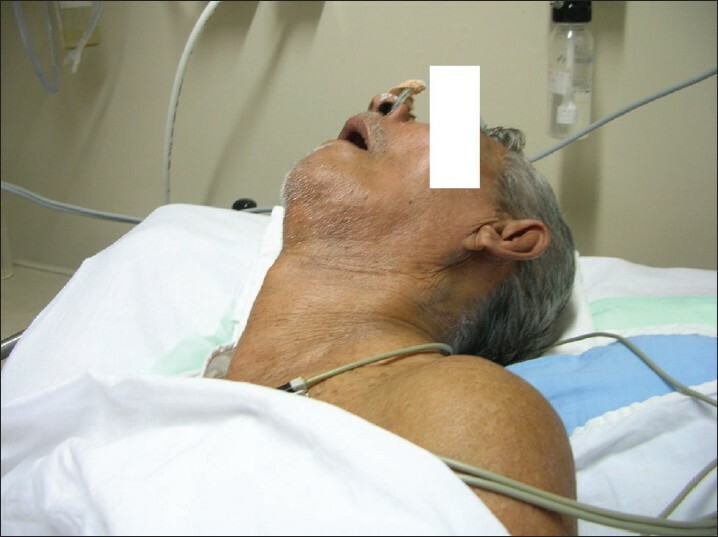 On investigation, he was found to have hyponatremia precipitated malignant syndrome. Treatment with hydration, cooling, correction of hyponatremia and dopaminergic drugs reversed his condition. 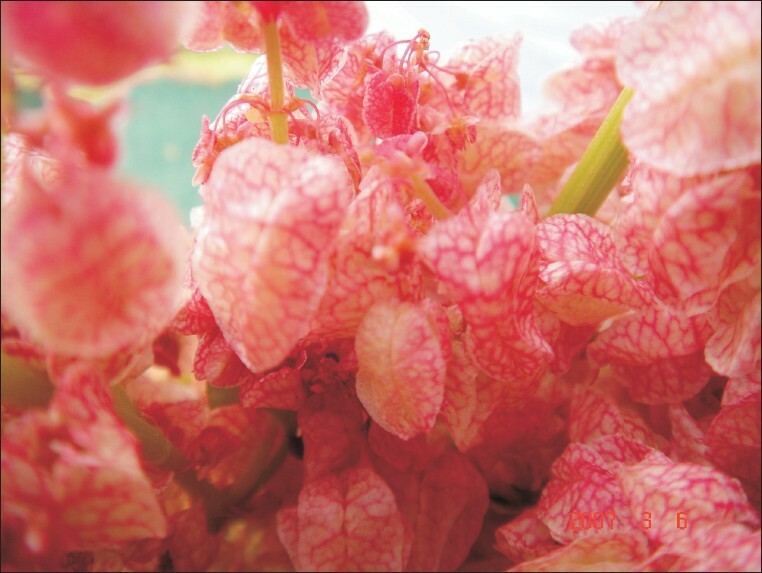 The triad of fever, severe rigidity and altered sensorium should prompt evaluation for malignant syndrome in Parkinson's disease. Carbon monoxide poisoning is not uncommon during the winter months. To make a diagnosis, strong clinical suspicion and acumen, and history of the exposure are necessary. Many a time, the presenting complaints may fail to help reach a diagnosis, in the absence of history. Imaging plays a role in the diagnosis of brain injury with the characteristic features, which are correlated with the clinical profile. 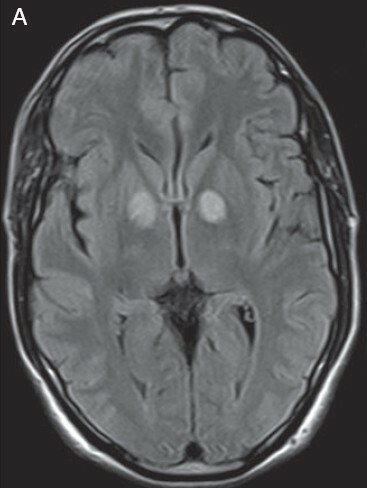 Isolated bilateral basal ganglia injury revealing T2 hyperintensity in MRI may be observed in acute carbon monoxide poisoning. Flexor spasms are involuntary muscle contractions comprising dorsiflexion at the ankle and flexion at the knee and the hip, occurring as a result of nociceptive spinal release reflex. The presence of flexor spasms generally suggests a lesion in the spinal cord. Foot drop is usually seen with lesions of lumbosacral roots, peripheral nerves or muscles. We hereby present a patient with a rare combination of spastic foot drop and flexor spasms due to a brain tumor. The possible underlying pathophysiological mechanisms resulting in flexor spasms due to a cerebral lesion are briefly discussed.